We would be delighted to hear from you and are more than happy to help arrange a visit. Our main office deals with all our enquiries. Mrs Elliot is our Office Manager and along with her team will be able to support you. If you require a paper copy of the information on our website, please let us know and we will provide it free of charge. 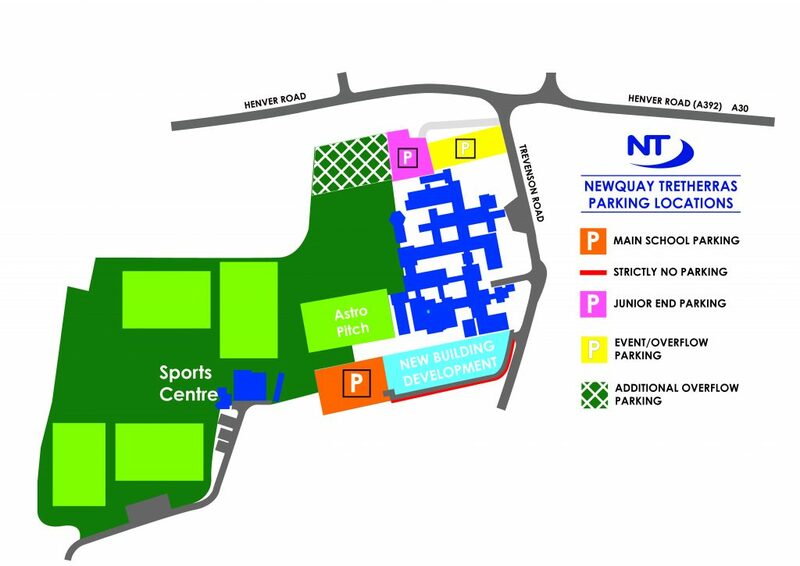 Please be reminded that Drop Off and Parking Access at Newquay Tretherras will change from the 4th June 2018. Junior Bus bay/Drop off zone will become a coach pick up and drop off area only from 8:15-3:30 daily. No other vehicles will be allowed to enter this area to drop off or pick up children. No vehicular access to the senior or junior car parks for parents to drop off or pick up children. You will be able to access these car parks if you have an appointment at the school but parking will be so limited you are advised to park at the Sport Centre and walk up in to school. Alternative drop off is at the Sport Centre or Chester Road where students can then safely walk up in to school. We appreciate that this will cause some inconvenience for us all but we are asking for your support, as the end result of having a fantastic new teaching block, will outweigh the inconvenience the build might cause us over the next few months.